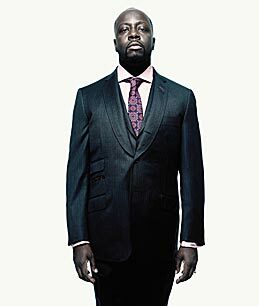 That was the big talk yesterday as mega music star Wyclef Jean announced his candidacy for president of Haiti. So what do you think of this, islandistas? 'Clef for president? Is it too far-fetched, the hubris of a superstar or is it a clever way to shine a light on Haiti and galvanise the force of its huge diaspora? Time Magazine, which broke the story on their site (the full interview is coming in their print edition) made some compelling arguments for the 'Clef candidacy. And in Haiti, where half the population of about 9 million is under age 25, it's an asset as golden as a rapper's chains. Amid Haiti's gray postquake rubble, Jean is far more popular with that young cohort than their chronically corrupt and inept mainstream politicians are, and he'll likely galvanize youth participation in the election. More important, Jean stands to prove that fame can do more than lift voter turnout — or raise millions of dollars for earthquake victims, as his Yéle Haiti (Haiti Freedom Cry) foundation has this year. His presidential run, win or lose, could build a long-awaited bridge between Haiti and its diaspora: a legion of expatriates and their progeny, many of them successful in pursuits spanning every field, who number 800,000 in the U.S. alone. International aid managers agree that Haiti really can't recover from the quake unless it taps into the education, capital, entrepreneurial drive and love for mother country that Jean epitomizes. Of course there are a ton of arguments against - just check the comments sections of both the NYT and Time pieces. And it sure seems sort of surreal - can you imagine Wyclef at a CARICOM Heads of Government meeting? But on the other hand - if not him, who? Lord knows Haiti has plenty of divisive forces and Lord knows they need a uniting one. And Wyclef is that. And if not now, then when? This will certainly be interesting to see.